Based on the regular observational data, NCEP final analysis data, dual Doppler radar productions, and fy-2E meteorological satellite data, the regional rainstorm over Liaoning province on July 30, 2011 was comprehensively analyzed. The results indicated that the precipitation process occurred mainly due to the combined effects of NECV bottom upper-level trough and lower warm shear. South-west LLJ provided a steady stream of warm air accumulating in Liaoning province, which formed better water vapors and precipitation heat conditions. Meanwhile low-level wind convergence and upper level divergence, and a release of the strong potential unstable energy provided better power and unstable conditions for the precipitation. The dual radar reflex revealed that the 1.5 km horizontal wind convergence, strong echo area, and TBB low areas in the rainstorm had good correspondences with the movements of big value precipitation area and precipitation area. 夏丽花, 冯晋勤, 黄美金等. 一次强对流天气过程的成因分析[J]. 气象, 2006, 32(7): 110-114. 田军, 张楠, 栗敬仁等. 2008年6月3日一次中尺度强对流天气过程分析[J]. 气象与环境科学, 2009, 32: 5-8. 吴蓁, 赵培娟, 席世平等. 郑州局地强对流天气的形成机制与预报方法[J]. 气象科技, 2008, 36(5): 515-519. 谢义明, 解令运, 沙维茹等. 江苏中部一次强对流天气的物理机制分析[J]. 气象科学, 2008, 28(2): 212-216. 潘娅英, 王亚云, 钱吴刚等. 一次全省性强雷暴天气的地闪特征[J]. 气象科技, 2010, 38(4): 432-436. 寿绍文, 励申申, 王善华等. 天气学分析[M]. 北京: 气象出版社, 2002: 148-174. 廖玉芳, 俞小鼎, 郭庆. 一次强对流系列风暴个例的多普勒天气雷达资料分析[J]. 应用气象学报, 2003, 14(6): 656-662. 伍志方, 张春良, 张沛源. 一次强对流天气的多普勒特征分析[J]. 高原气象, 2001, 20(2): 202-207. 郑祚芳, 张秀丽. 北京地区一次局地强降水过程的数值分析[J]. 热带气象学报, 2009, 25(4): 442-448. 李靖, 于波, 王华等. 北京地区一次局地暴雨过程的诊断和中尺度分析[J]. 气象, 2008, 34: 74-79. 郑秀雅, 张廷治, 白人海.东北暴雨[M]. 北京: 气象出版社, 1992: 1-6. 邹立尧, 丁一汇. 1961~2005年东北暴雨气候特征分析[J]. 高原气象, 2010, 29(5): 314-1321. 孙军, 代刊, 樊利强. 2010年7~8月东北地区强降雨过程分析和预报技术探讨[J]. 气象, 2011, 37(7): 785-794. 王宪彬, 张旭, 辛艳辉. 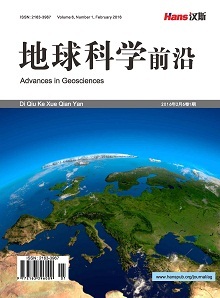 东北地区一次暴雨过程落区研究[J].气象与环境学报, 2010, 26(5): 36-40. 吴迪, 寿绍文, 姚秀萍. 东北冷涡暴雨过程中干侵入特征及其与降水落区的关系[J]. 暴雨灾害, 2010, 29(2): 111-116. 王宪彬, 张建国, 辛艳辉. 2010年8月19日阜新暴雨过程的多普勒雷达回波特征[J]. 气象与环境学报, 2012, 5: 112-121. 黄振, 宋煜, 何玉科. 2004年8月3日大连大暴雨天气过程分析[J]. 气象与环境学报, 2006, 2: 42-48. 公颖, 陈力强, 隋明. 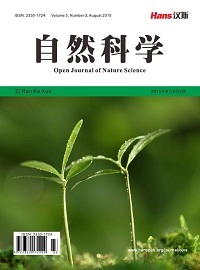 2001~2010年辽宁区域性暴雨阶段性特征[J]. 气象与环境学报, 2011, 6: 50-59.